Christov Curystanos has been collecting antiques for years. 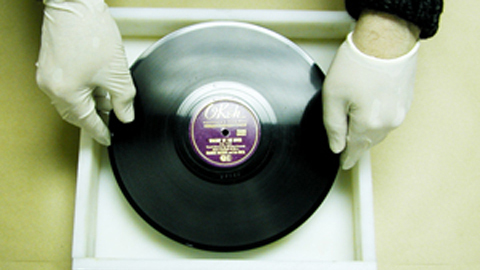 His passion, however, is collecting old 78 RPM records made in the late 1800's and early 1900's. An avid fan of swing, big-band and other genres long past, Mr. Curystanos has an extensive collection and has always wanted to sell rare titles long out of production. Problem: Many of these titles are one-of-a-kind and very valuable. Mr. Curystanos attended a Smooth-On mold making and casting seminar and was soon making his own molds and castings at home. He chose Smooth-Sil 940™ silicone rubber to make the molds because he wanted a rubber that would stand up to production casting of resin, shrink minimally, and last a long time in his mold library. 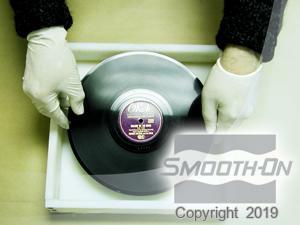 The castings are made of TASK 4™ plastic and play perfectly on his antique gramaphones – some better than the originals that the molds were made from. 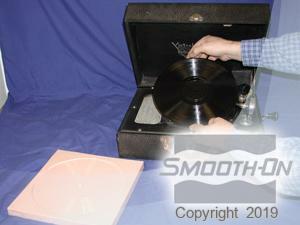 He is also now able to offer public domain copies of rare recordings to others. 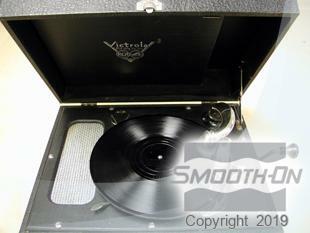 Secure an original 78 record in a box. 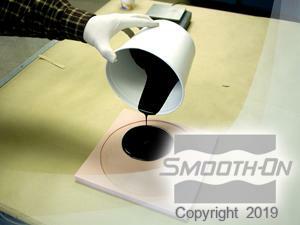 Mix and vacuum Smooth-Sil 940 and then pour it over the model. The next day, remove the rubber mold from the model. You will notice it reflects each groove including the imprint from the label. Now mix TASK™ 4 with SO-Strong™ black tint. 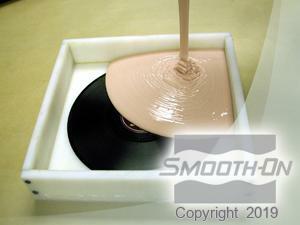 After the TASK 4 is mixed with the pigment it can be poured into the mold, and allowed to cure. 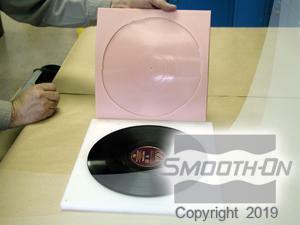 Remove the TASK™ 4 casting from the mold and place it on a Victrola turnstile. . . does it actually play? Perfectly . . . Every time.